CI-CMC (Contrivance Innovation - Clay Mixing Consolidation) is categorized to the Deep Soil Mixing (DSM) method that mixes cement slurry with soil in-situ and strengthens soft ground. Since DSM has a wide range of applicable soils with achievement of at will strength, it has been popular in the soil improvement market; however, it has been less cost effective in comparison with the other soil improvement methods with concept of soil compaction / densification, such as Stone Column, Dynamic Compaction. 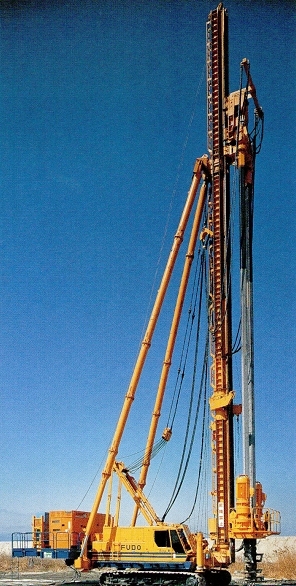 By the combination of techniques above, CI-CMC achieves the creation of larger columns with less mixing time. This realizes the cost reduction without sacrificing the strength and the uniformity of columns. CI-CMC is the ideal Deep Soil Mixing method that copes with both economy and quality. For offshore work, we have performed Deep soil mixing by using local barge in Vietnam and Hong Kong.We have capability to mobilise the specialized barge at each country.